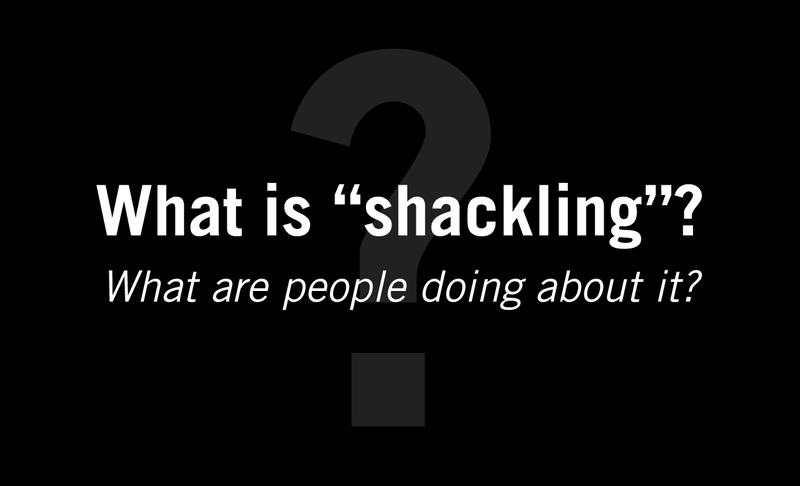 "Shackling” is the use of restraints on an incarcerated pregnant woman during transportation, labor, delivery, and recovery. The combined efforts of Women on the Rise Telling HerStory (WORTH), The Correctional Association of New York’s Women in Prison Projects, and the New York Civil Liberties Union made New York the sixth state to ban restraints during childbirth, when Paterson signed the Anti-Shackling Bill, which prohibited shackling during labor, delivery, and recovery. In 2014, Massachusetts Governor Deval Patrick signed an anti-shackling bill into law. The Prison Birth Project worked alongside fellow members of the Massachusetts Anti-Shackling Commission to advocate against restraining incarcerated women who are pregnant, in labor, or in the post-partum period. However, the practice has continued in New York and Massachusetts, despite legislation that bans shackling.